No, not the Olympics yet! 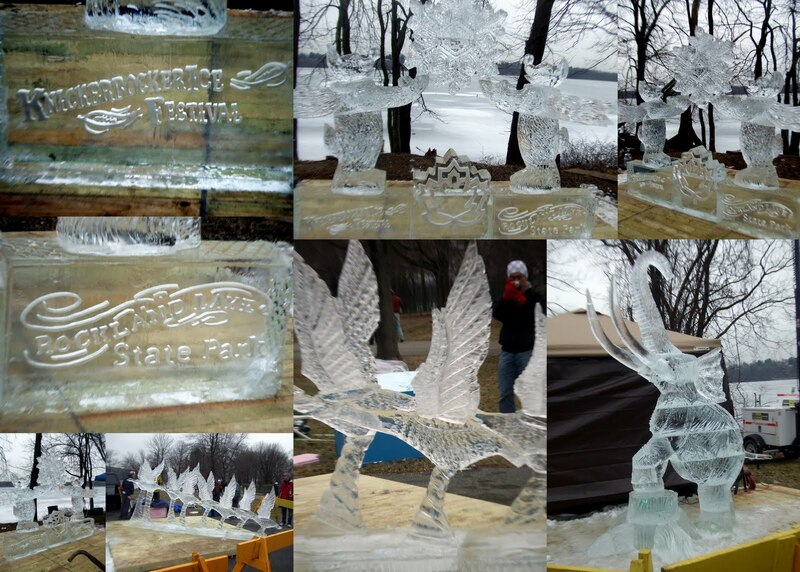 Mommy, Daddy, Aunt Angela, Uncle David, and I went to the Knickerbocker Ice Festival at Rockland Lake. Daddy wanted to bring Henry, but there were no dogs allowed. There were other puppies there though, so maybe we’ll bring him with us next time and sneak him in – shhh, don’t tell! It was sort of a yucky day – cold and damp, so I’m glad I was all bundled up… After we wandered around for a while, I snuggled down and took a nap. Don’t forget to comment on yesterday’s post to help raise money for Haiti disaster relief! ETA: Mommy and Daddy donated $25, Grammy and Coach added another $25, and Grammy’s office matched them, making it a total of $75! Thanks to everyone who commented! Now I’m relaxing and watching the game – let’s go ! « It’s a beautiful morning! Eventhough the weather was yucky we had a blast with you guys!